Defeet Kneekers add a an extra layer of warmth to your favorite shorts. Circular knit design fits great on legs of all sizes with a blend of Coolmax Polyester and Lycra making them stretchy and breathable. Compact size fits in your pocket when the temperature warms. Universally sized (up to 24" quads). Made in the U.S.A. I almost thought these were arm warmers when I first opened them, they were so small. But after taking them out and trying them on, they are in fact knee warmers. I've used DeFeet arm warmers for several years so I'm familiar with their quality. I really like how these feel. I like that they're a knit, so it stretches a bit more than others and don't feel as binding. They stay put nicely and are warm like they are supposed to be. I wear my shorts over them so the leg openings of the shorts helps to keep them in place too. These are decent knee warmers, but I found they tended to migrate downwards during the ride. The upper portion could do with a grippy elastic that could go over cycling shorts legs. I've used them over tights for extra protection to good effect. These do not stay in place while riding poor quality! Snug, cozy and warm. Best for colder days and they stay put. Just bought these based on everyone's feedback and they are definitely worth getting. If you look at it from a purely Cost-Benefit these are the ones to buy. Kept me warm today in cold and damp 30 degree weather. I agree with all pros and cons listed in the first review. Definitely could use more grip on the tops. 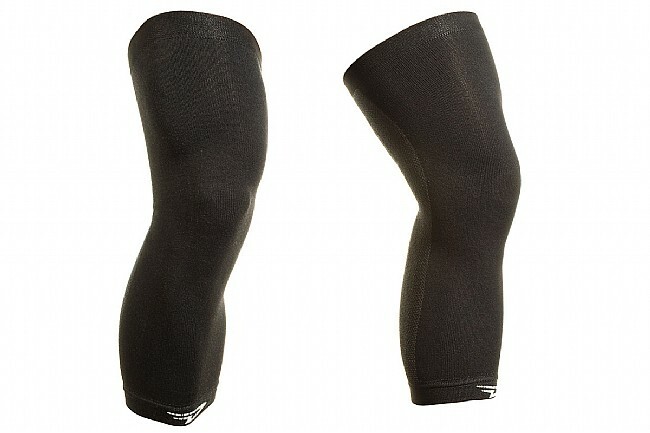 I have used these knee warmers for two seasons and they are holding up well after many machine washes. Overall a good value for the money. Great for chill mornings when it's uncomfortable for just shorts but too warm for full tights. A nice feature not mentioned in the write up is these stretch a lot so you can vary the amount of coverage to suit the prevailing conditions. Also the backs of each warmer is woven more openly, more like a net so you get more ventilation for the backs of the knees while retaining good coverage over the front, this eliminates that whole back of the knee sweat build up problem but knees are still toasty. My only critique is I wish they had made the tops a little more grippy, while they have not fallen down yet, I am always careful to have a good margin of overlap with the bottom seam of my shorts. Without the extra help from my shorts they would likely droop.